Corneal topography, also known as photokeratoscopy or videokeratography, is a non-invasive medical imaging technique for mapping the surface curvature of the cornea, the outer structure of the eye. 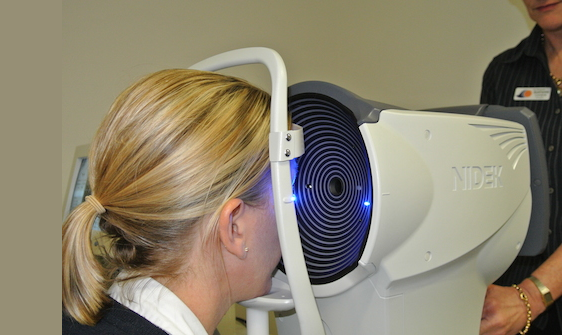 A Corneal topograph is a computerized Video-Keratometer, using Placido rings to map the surface of your cornea. The results of this exam are used to assist in contact lens fitting, refractive surgery, orthokeratology and general assessment of the cornea. The three-dimensional map of the surface curvature of the cornea is a valuable aid to the examining optometrist and can assist in the diagnosis and treatment of a number of conditions; in planning cataract or refractive surgery such as LASIK, and evaluating its results. Corneal topography helps in assessing the fit of contact lenses. An autorefractor or automated refractor is a computer-controlled machine used during an eye examination to provide an objective measurement of a person's refractive error and prescription for glasses or contact lenses. This is achieved by measuring how light is changed as it enters a person's eye. The iVue OCT System is a powerful clinical tool that transforms the way you assess the retina, optic disc and the cornea. Quantify the thickness of the retina, nerve fiber layer, ganglion cell complex and the cornea. Track change and predict trends in RNFL and GCC thickness and precisely measure angles to aid in disease diagnosis. Here at Drs. Hiura & Hiura Optometrists we help our patients understand their eye scan results. We strive to provide the best eye and vision care in San Fransisco, CA. 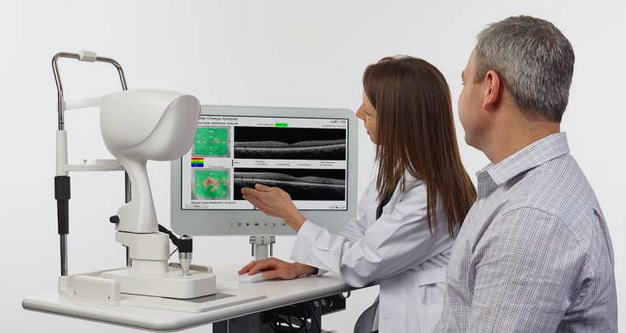 (HFA3) from ZEISS, is the next generation in visual field testing and analysis. The Humphrey Visual Field Analyzer 3, is a tool for measuring the human visual field, it is used by optometrists, orthoptists and ophthalmologists, particularly for detecting monocular visual field. The results of the Humphrey Field Analyzer 3 identify the type of vision defect. Therefore, it provides information regarding the location of any disease processes or lesion(s) throughout the visual pathway. This guides and contributes to the diagnosis of the condition affecting the patient's vision. These results are stored and used for monitoring the progression of vision loss and the patient's condition.